Look out, here comes the Lion Guard! Make your own Lion Guard craft while watching The Lion Guard on Disney Junior on the Disney Channel. I remember the very first time I saw the Lion King and the feelings it made me feel. It was actually one of the very first Disney movie that touched me enough to make me cry, but then brought out laughter. Hakuna Matata anyone? 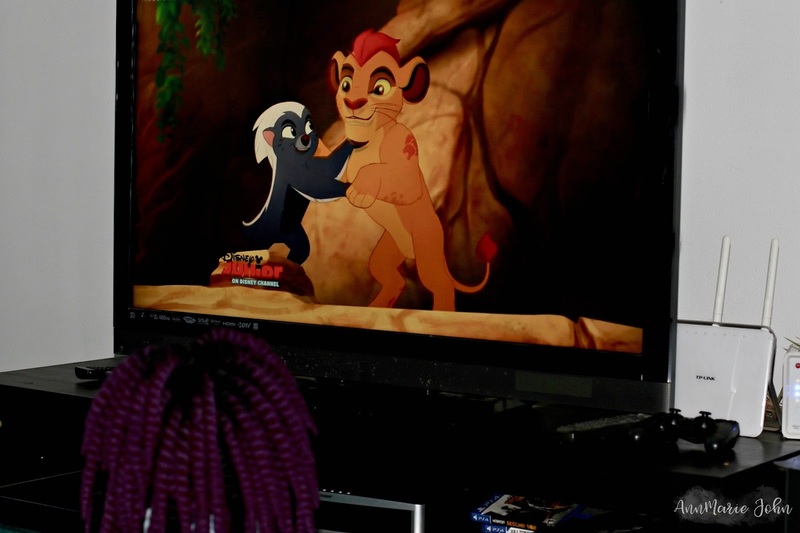 When I had my own children I made sure that they all saw the Lion King and to this day, it's still one of my favorite Disney movies, just as Disney's Animal Kingdom is our favorite park. Madison and I always go to see the Festival of the Lion King whenever we're there because she just loves the music and the performances are amazing. Madison is also a fan of cats, and the bigger the better, so of course the Lions at the zoos are also one of her favorite. We can't leave the zoo without seeing them. So when Disney's The Lion Guard was first made available on Disney Junior, Madison was hooked, line and sinker. She already loved The Lion Guard: Return of the Roar so was very familiar with the characters. Kion the prince of the Pride Lands is the son of Simba and Nala, and the younger brother of Kiara. He is also the leader of the Lion Guard and defends the Circle of Life with his friends Bunga the honey badger, Beshte the Hippopotamus, Ono the Egret and Fuli the Cheetah. 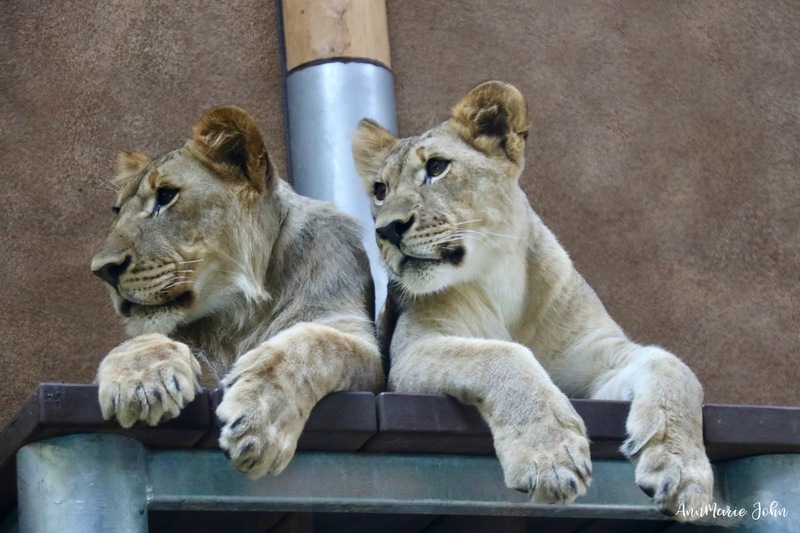 Together they keep the Pride Lands safe and protect the other animals. Madison and I sit together and watch the Lion Guard and while she loves hearing Kion's roar, I love how each episode teaches a life story, that there is no I in team, and that it really does take teamwork to get things done. Today I also want to share a super simple Lion Guard Craft that Madison and I put together. Step 1: Start by drawing on the face of your lions. It doesn't have to be perfect. Have the little ones draw the faces as they see fit. Step 2: With an adult's help, glue the googly eyes onto your terracotta pot where they belong. Step 3: Cut ears from your cardstock paper and place them close to the eyes. Step 3: Cut little pieces of yarn and glue them onto your terracotta pot around your face. We decided to put the yarn all around the face of Simba and a pompom on top of his head declaring him the "adult". For Kion, we placed the yarn on the top of his head. That's it, you're done and now you have your very own Lions to help with your own Pride Lands. So tune in FRiYAY mornings to watch the Lion Guard on Disney Junior on the Disney Channel. That is a super cute craft! I love how easy it is to make. I think this would be perfect for any Lion Guard lover. That is a great craft. I love things like this that allow kids to be creative without being too difficult for them to make without frustration. What an absolutely awesome idea!!! The Lion King is one of my most favourite movies and my partner has never seen it!! I keep trying to make him watch it LOL! These pots are so gorgeous! This craft is adorable! What a fun way to get kids involved in the garden during the summer. Those pots are so cute! Wouldn't that be a fun craft for a Sunday School or a birthday party? Love it. The Lion King totally gutted me. It's always been my favorite Disney movie. I couldn't speak after seeing it! I was 13 and my father had died too so I related. These pot lions are really inspired. We have a lot of extra pots around from Cassidy's gardening. I can see doing this with Des! My youngest loves The Lion Guard. Seeing him watch it for the first time was really nostalgic for me, being a fan of The Lion King. We own that DVD now too, and the boys love it. I'm sure they would love to make these terra-cotta lions too! I can always watch the Lion King it is a classic and all kids love it. I will have to try out that craft on my nieces and nephews who love the movie too. That is such a cute idea. I bet the kids would have a blast with this project. This is such a cute craft. My granddaughter watches Disney Junior sometimes and she loves The Lion Guard. 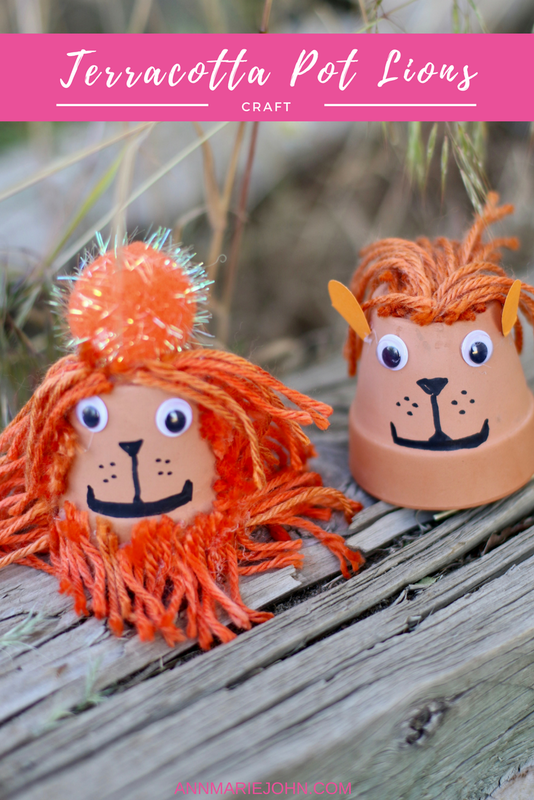 Oh these little lion pots look cute! I love how you did their manes. The new Lion Guard episodes should be fun to watch! These are so adorable! I bet they would be a fun project to do with my toddler - I need to add this to our summer project list! I love this idea. It's so simple and yet it is really awesome. I have watched the Lion King movies and truly enjoyed them too. Those lions are just too cute. I think my youngest son would absolutely LOVE to make them with me. Love it! It's awesome that they have this show now for the kids. The Lion King is a film that I hold close to my heart and seeing Simba and Nala's family grow is awesome. Love the craft as well! So fun! These are so cute! My son would totally be game to make these for his new room! Those pots are the cutest craft! I have a few extra pots laying around and can't wait to make these with my girls. The Lion Guard craft is super cute. It looks like a fun project to share with your little ones. I've never heard of Lion Guard, but I've of course seen the Lion King movie many times. My kids love watching The Lion Guard. I don't think I could rope them into making this craft but I personally think it's adorable! This is a really fun art to do with the kids this summer! My kids love animal crafts so I'm sure they'll love this! The Lion King is an amazing movie and I've always wanted to see how much the family has grown since then! I think this is a lovely show to look forward to, and a great way to introduce the kids to the classic favorite! I love the craft idea too, very creative! I always loved Lion King as a kid, and I love being able to introduce it to my kids now! Those pots came out absolutely adorable! This is too adorable! I love the details in this and its a fun craft! OMG these little lions are so stinking cute!! What an adorable craft idea to do with the littles! My son loves The Lion Guard. Your craft is so lovely and goes so well with it. Something to get the kids going. I am loving the lion pots! Look like such a fun craft idea and one that we would have fun with! How cute! It looks like a great craft to do for all ages. It is perfect for an outdoor or rainy day activity. 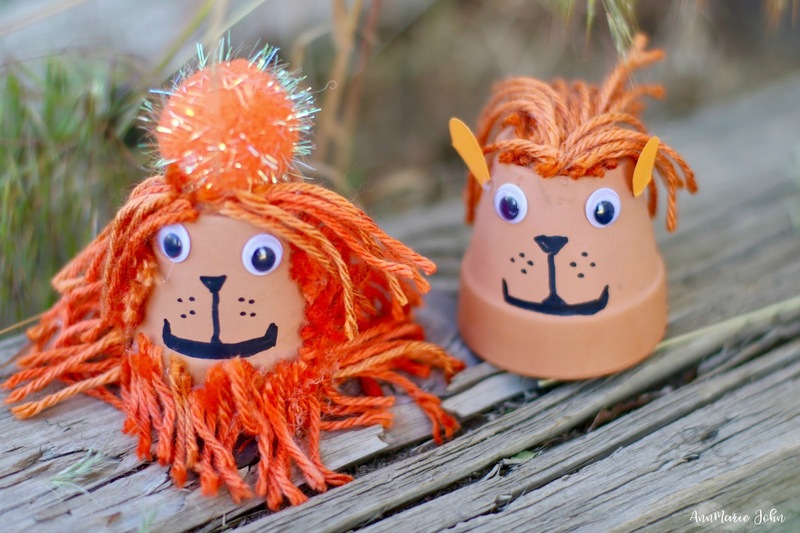 This DIY lion project is so cute to do with the kids this summer. It looks really easy to make and fun for the kids to do. What a fun Lion King inspired craft for the kiddos! I have not seen anything like this before. OMG! This is way too cool! I would have never though to do this, but they look so great! Omg how cute are these lion crafts?!?? Totally something my daughter would love!!! She just loves Disney junior. These are absolutely adorable!! I know that my kids would love to make these to put in their outdoor garden! These are so cute! I would love to make these with my kids. They've been watching this show so much and I think it would be a lot of fun! Oh how fun! I love making crafts with my kiddos. My daughter would love to do these! Oh my gosh, I know Madison had to LOVE this! This is super cute. 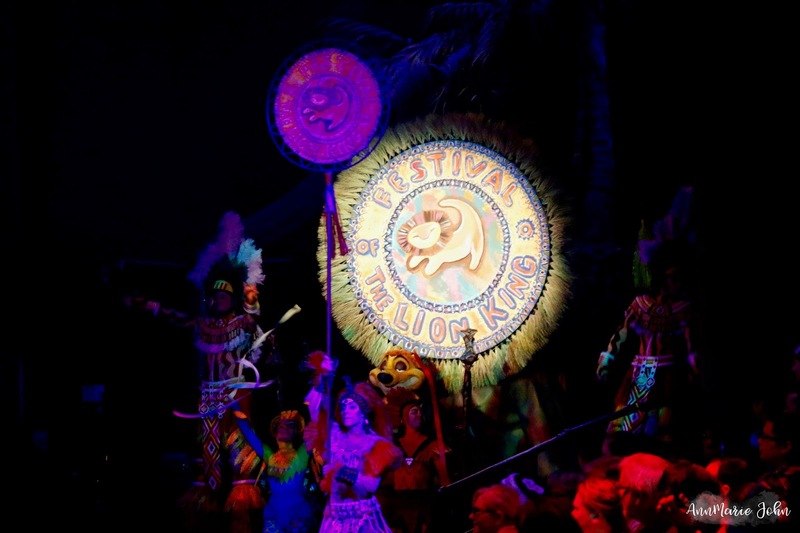 Lion King is also one of my favorite movies, which is another why I love going to Animal Kingdom to see this show! Another adorable Disney idea! I need to recreate these with my little dude.